Your bedroom is your sanctuary, the place where you relax and unwind. 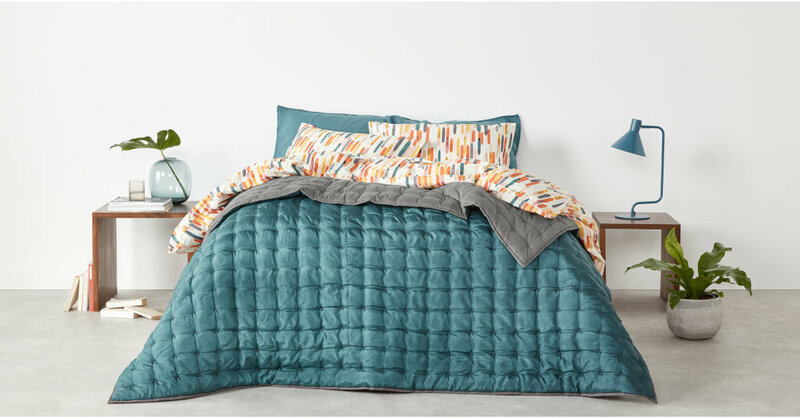 Add a little luxury with our elegant and timeless Korba bedspread. Crafted from pure raw silk, it makes bedtimes extra special. Understated yet opulent, this bedspread features a fine cotton voile on the reverse and is hand-stitched and quilted to make your bed all the more inviting. It comes in a soothing palette of grey hues – the perfect neutral base that allows you to mix and match Korba with your existing bedding.